The smartphone market is ever evolving with brand new smartphones entering the league and gradually capturing the market with its plethora of new features. 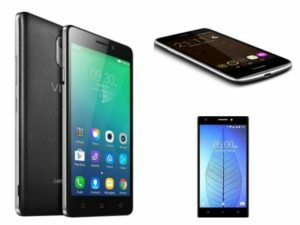 The year 2017 has seen a grand introduction of various low-budget smartphones which are perfect for the budget-seekers and the thrifty people. There are few upcoming smartphones from companies like OnePlus, HMD Global and few more which are still on the line. If you’re looking forward to smartphones within the range of Rs. 15,000, this article will be helpful to you as it lists down some of the best Android phones within your range. Let’s take a quick look at them. It was in MWC Barcelona that the Moto G5 Plus was showcased for the first time in 2017. Within a few weeks, the phone was found in the Indian stores and very soon it started creating a lot of buzz. This is a metal-body smartphone which runs on Snapdragon 625 SoC and dons a 5.5 inch Full HD display. When it comes to the OS, Moto G5 Plus takes the stage as it is run by Android 7.0 Nougat. The phone has a 12-megapixel rear end camera and 4K video recording capabilities and a dual-LED flash. It comes with 3GB RAM/16 GB storage and 4GB RAM/32GB storage combinations. This is a much-awaited smartphone from Xiaomi and it features a metal body design with 151X76X8.3mm dimensions. The phone weighs 165 gram. Xiaomi Redmi Note 4 is run by MIUI 8 with Android 6.0 Marshmallow and it dons a 5.5 inch full HD display. The screen is topped with 2.5D curved glass and has got an IPS display. It supports, dual sim card, one micro and the other has to be nano. The rear end camera is 13 MP with sensor equipped 77 degree wide angle lenses along with dual-tone LED flash. The expandable storage that you get in Redmi Note 4 is through dual-SIM configuration and this device even boasts of massive 4100 mAh battery. The Note 4 comes with 4GB RAM and 64 GB ROM and costs around Rs.12, 999. Are you a die-hard fan of Sachin Tendulkar, the cricket Maestro? If yes, you can definitely settle down with The Sachin Tendulkar Android phone which has been given the name of SRT (Sachin Ramesh Tendulkar). The phone offers a Full HD display with 2.5D Glass. The phone is powered by Qualcomm Snapdragon and has 4GB RAM. The phone runs on Android Nougat and has got a 32GB internal storage priced at Rs. 12,999. The 64GB storage costs Rs. 13,999. The rear camera is 13 MP with PDAF along with 5 MP front camera. There are additional features too like dual SIM support along with VoLTE connectivity. Asus launched Zenfone 3S Max with 5000mAh batter and this phone runs on Zen UI 3.0 OS based on Android Nougat 7.0. This is also an all-metal phone which comes with a 5.2 inch HD display which has been topped with 2.5 contoured glass. With regards to camera, the Asus Zenfone 3S Max has 13 MP rear camera with autofocus phase detection and it has also got an 8-MP front snapper. There are capacitive onscreen buttons and is also powered by MediaTek 64-bit and this Dual-SIM smartphone has been priced at Rs. 14,999. So, if you’re a gadget freak who loves to collect new phones and also stay within a budget, you might take into account the above mentioned phones which have already been launched in India.